Advanced driver assist systems on the Volvo XC60 exceed the NCAP requirements and helped the car receive highest crash test scores to date. The latest mid range SUV from Volvo, the XC60, has attained the maximum 5 star ANCAP safety rating by independent vehicle safety authority, ANCAP (Australasian New Car Assessment Programme), achieving class-leading scores in two key areas of assessment. 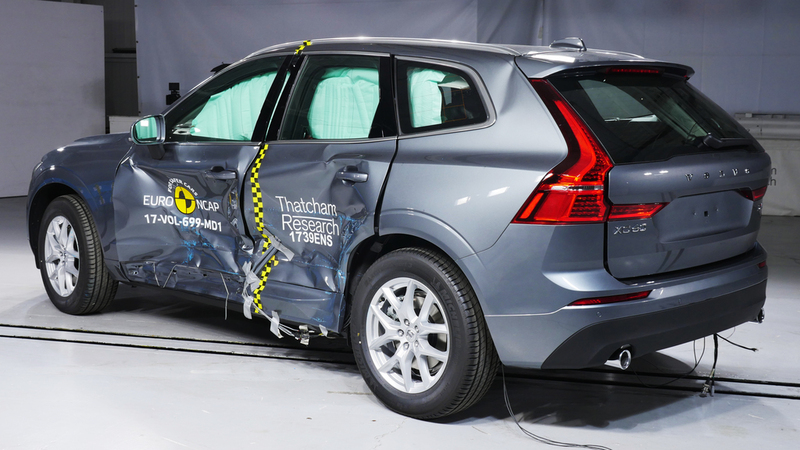 The results are based on testing performed at Thatcham Research in the UK for the Euro NCAP organisation. “The XC60 passed the assessment achieving not only 5 stars, but taking out the highest scores to date in the areas of Adult Occupant Protection and Safety Assist,” said ANCAP Chief Executive Officer, Mr James Goodwin. The XC60 scored 98% for Adult Occupant Protection and 95% for Safety Assist, the active safety technology used in vehicles to prevent collisions. “High levels of protection were recorded for occupants in all four crash tests, with only the chest of the rear passenger in the full width test and the lower legs of the driver in the frontal offset test seeing points deducted,“ Goodwin continued. “This model is fitted as standard with an autonomous emergency braking system which operates at high and low speeds and can detect pedestrians. Performance testing of this system earned the vehicle full points. It also has an intelligent speed assistance system which uses a camera to recognise and inform the driver of the local speed limit,” Mr Goodwin said. This 5 star ANCAP safety rating applies to all D4, D5, T5 and T6 variants. The T8 hybrid is unrated.